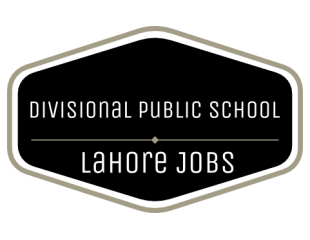 DPS Divisional Public School Inter College Lahore Jobs Via NTS has been announce. Last date to apply is Wednesday, 20th June 2018. Divisional Public School DPS or DPSC established in 1963. DPS is a series of mega-schools at the division level in Punjab Province of Pakistan. The branches of Divisional Public School & Inter College are in almost every city of Punjab. The branches of DPSC are in Lahore, Sahiwal, Kasur, Gujranwala, Rawalpindi, Mandi Bahauddin, D.G Khan. Application are inviting from the desirous candidates. Candidates having Punjab domicile are eligible to apply. Terms & conditions as well as other requirements for DPS Divisional Public School Inter College Lahore Jobs Via NTS are mention below. Candidates submit the application form along with the attested copies of documents, copy of cnic and two recent photographs. List of eligible candidates for test will be available on 26th June, 2018. Incorrect, false or forged information may result in cancellation of your candidature at any stage, even after employment. Only short listed candidates will be call for test/interview. Candidates must bring original documents along with a set of attested copies of all relevant documents at the time of interview. Last date to apply is Wednesday, 20th June 2018.